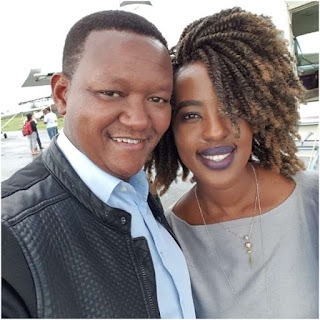 Thursday, August 23, 2018 - Machakos Governor, Dr.Alfred Mutua, has taken to social media to reveal how his wife, Lilian Nga’ng’a, treated him to a memorable surprise birthday party. Mutua narrates how Lilian took him to a place he had never been before just to express her love to him as he added another year. “Yesterday morning, as I turned a year older, my Sweetheart Lillian had a surprise for me. “We packed our bags and headed to the airport where we took a flight as the lunchtime sun floated above the clouds. “After an hour or so, we landed in the middle of nowhere, where a green land rover took us to a beautiful tented camp that I had never heard of. “I had no idea how she found the amazing destination and made all the plans.